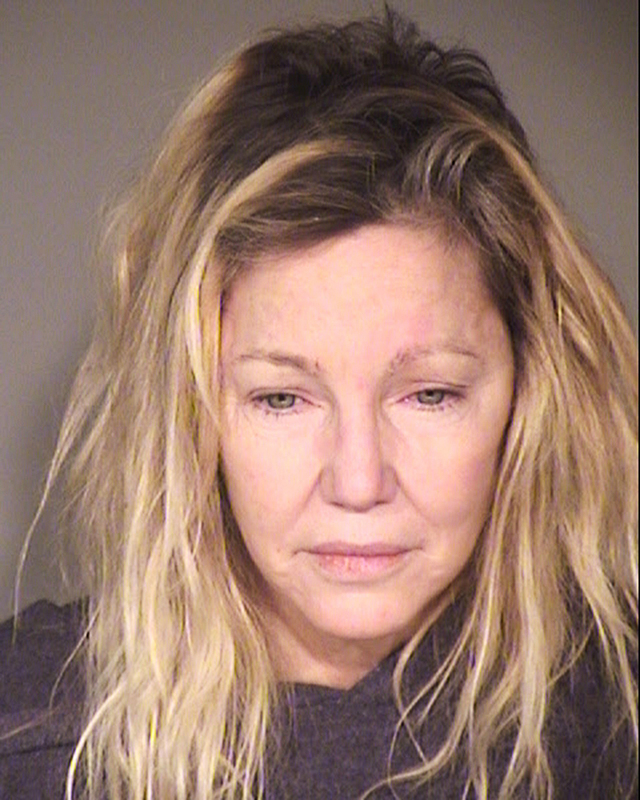 Heather Locklear was arrested on Sunday, June 24, for two counts of misdemeanor battery on a police officer and emergency personnel, the Ventura County Sheriff’s Office confirms to Us Weekly. The Melrose Place alum, 56, was taken into police custody at approximately 11:30 p.m. She was held at the Ventura County Jail on $20,000 bail until her release at 9:10 a.m. on Monday, June 25. She is set to appear in court at 1:30 p.m. on Tuesday, June 26. A spokesperson for the Ventura County Sheriff’s Office tells Us that a family member called 911 around 6 p.m. on Sunday about a “disturbance” at Locklear’s home. They called again at 11 p.m. to report that the star had been “extremely intoxicated.” When authorities arrived at the home, the actress allegedly punched one of the deputies and was “very, very uncooperative.” She also allegedly kicked an EMT while being placed on a gurney. Locklear was taken to a hospital for evaluation. She was medically cleared before being booked in jail. The news comes exactly one week after the Dynasty alum was hospitalized in Thousand Oaks, California, to undergo a psychiatric evaluation. A family member told police on June 17 that Locklear had been acting erratically and was looking for a gun to shoot herself prior to her hospitalization. Locklear was previously arrested in February on charges of domestic violence and misdemeanor battery on a police officer following a dispute with her boyfriend, Chris Heisser. The mother of 20-year-old daughter Ava Sambora (whom she shares with ex-husband Richie Sambora) sought treatment after that incident.